With the emerging market of electric vehicles all across the world, Indian Prime Minister Narendra Modi has also taken a step forward for the promotion of electric vehicles in the country. The Prime Minister on Friday stated that the government is soon going to introduce a policy on electric vehicles and alternative fuel technology to give a boost to e-mobility in India. Modi also claimed that India can be the best market for the rapidly evolving technology. This announcement was made by the PM at the first Global Mobility Summit (MOVE) organised by Niti Aayog. The audience at the summit included various important and well-known global business leaders such as Suzuki Motor chairman Osamu Suzuki, Toyota Motor chairman Takeshi Uchiyamada, ABB chief executive Ulrich Spiesshofer and Bosch’s Volkmar Denner. The top Indian automobile industry businessmen who attended the event were Mahindra & Mahindra chairman Anand Mahindra, Hero MotoCorp chairman Pawan Munjal and Bharat Forge chairman Baba Kalyani. With this new policy, the automakers will get a support to raise production of battery-powered and alternate-fuel vehicles, as part of efforts to cut down the rising oil import expenses. The basic purpose behind this was to encourage the industry to invest in the manufacturing of electric vehicles and the required charging infrastructure. 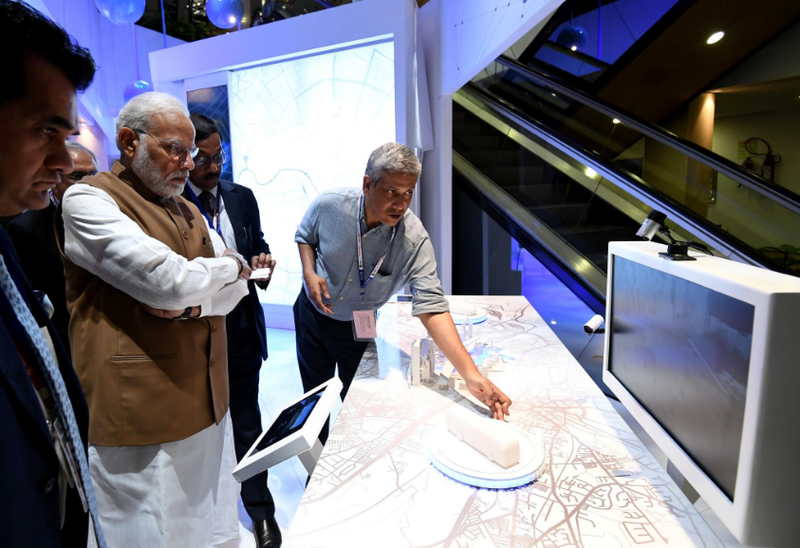 “My vision for the future of mobility in India is based on 7 Cs: common, connected, convenient, congestion-free, charged, clean, cutting-edge,” Narendra Modi said. Also, the Prime Minister encouraged the people to make use of public transport rather than private cars to help achieve the goal of congestion-free mobility. Various auto businessmen are impressed by this decision and are giving a positive response. The Prime Minister believes that the country is going to come out with a very clear-cut policy exactly how the industry needs. Once the policy is launched, all the automakers will be set to go on with it.